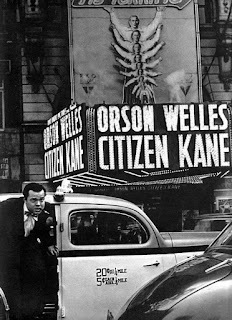 Here's a roundup of my posts for Citizen Kane (1941), our movie of the month. A feature about Hearst Castle, which was the model for Charles Foster Kane's palatial estate Xanadu. Old Hollywood songs entries on Charlie Kane and In a Mizz. Character actor Everett Sloane played Mr. Bernstein in Citizen Kane. Many films noir used Citizen Kane's storytelling and visual techniques.